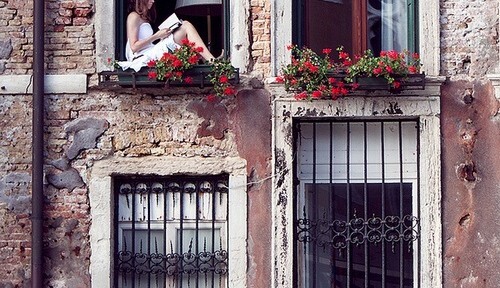 Building a house, implies working with your surroundings and sometimes that means hurting the enviorment. 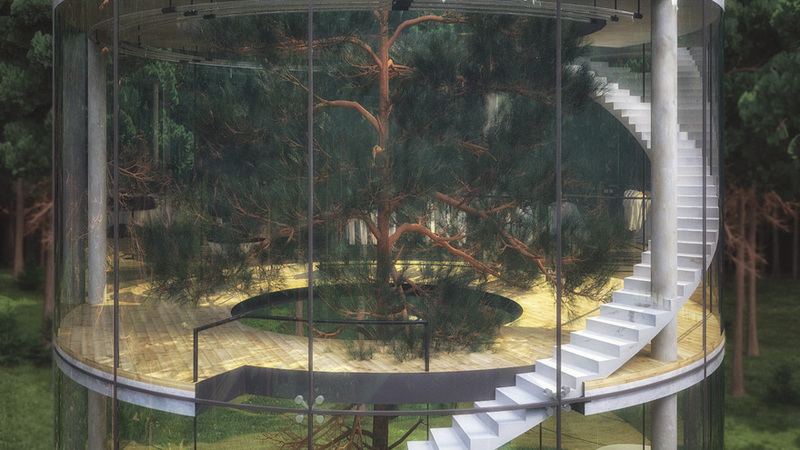 Usually tree houses have their foundation in nature itself, but what about working with it, not as an obstacle, but as a key element in the design? 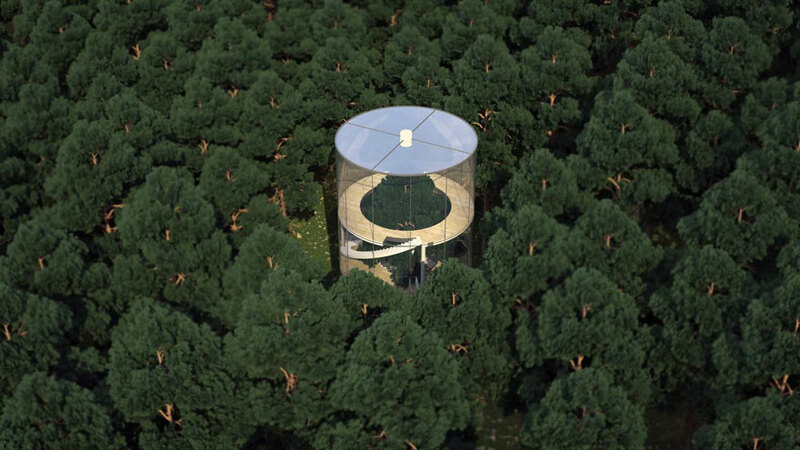 Kazakh architect, Aibek Almassov, did just that. 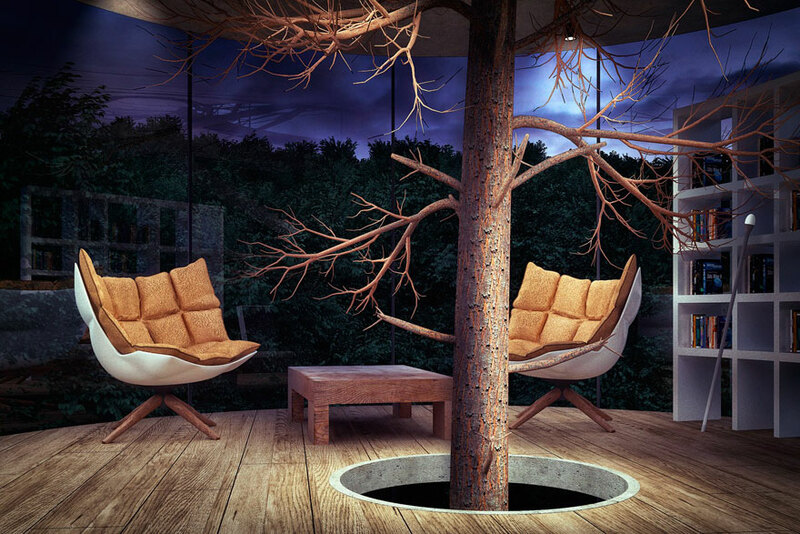 Hating the idea of destroying the trees around the house, he thought how could he save them instead. 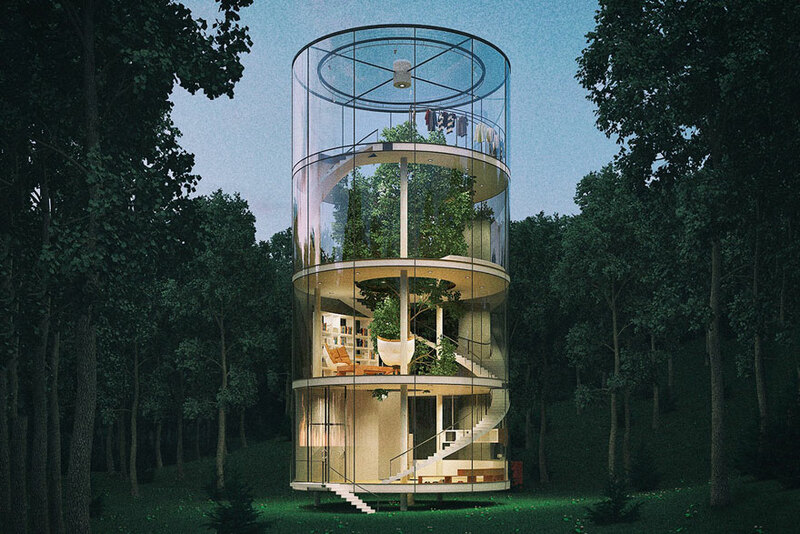 The cylindrical transparent house, having a volume at it’s core, revealing a tree, which seems, in harmony with it’s neighbourly forest, seems to be protected and the star of this public space masterpiece. 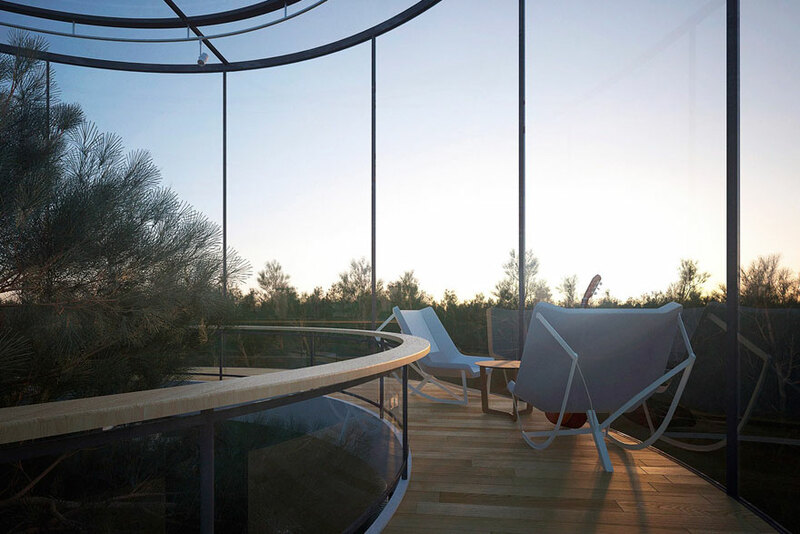 With it’s 360 degree view, overlooking the woods, it can only inspire you and realize that man and nature can coexist. 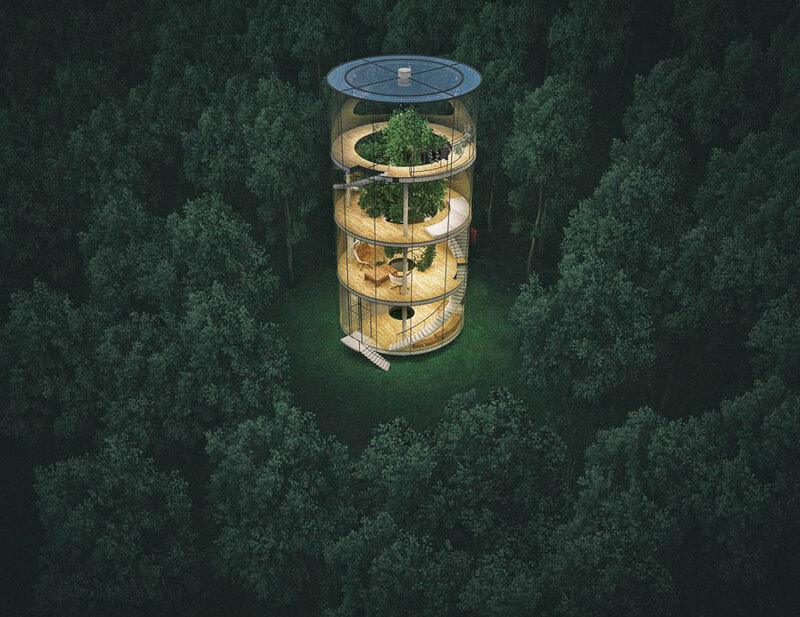 Nature being the most important element in this design, renewable energy was a must, the tree house would collect and purify rainwater and the translucent walls would have solar panels incorporated in them. 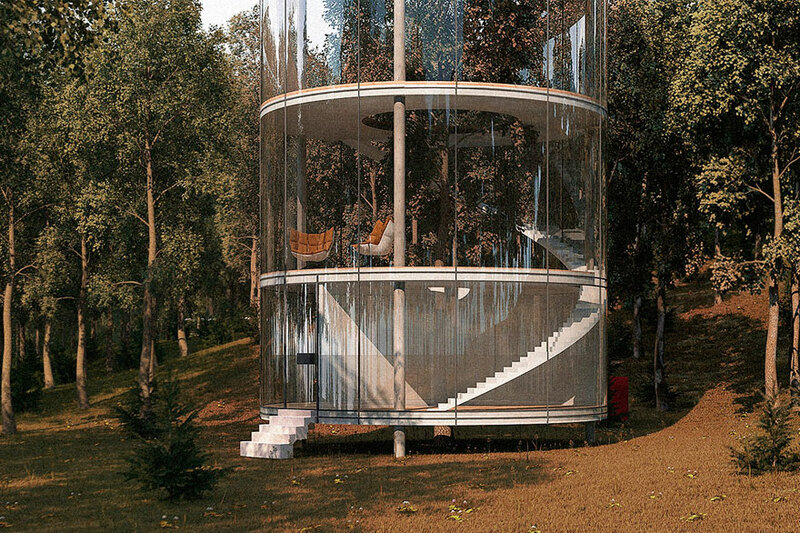 Almassov designed the house in 2013 and he has found investors to bring this glass tower to life, this year, in Almaty, Kazakhstan.